City Transportation that's Convenient, Fast and Fun! Anyone that lives in, travels in, or spends any amount of time in a major city knows how difficult city transportation can be. Public transportation can sometimes be, well, a little too public. Ubers are expensive. Taxis even more so. And these all have you relying on someone else to come rescue you. Well, there's another way. 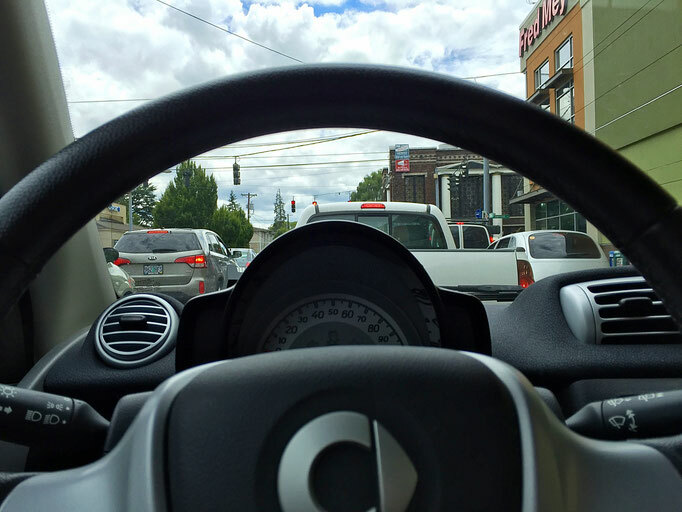 This article brought to you by Car2go who provided complimentary service. Affiliate links included. See disclosure for more. 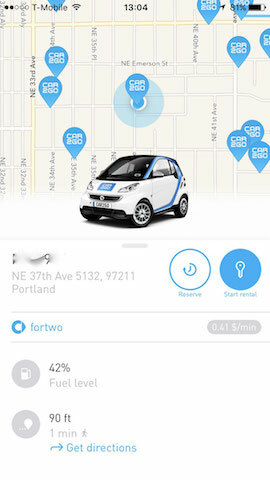 Car2 go is a convenient, fast, and fun carshare that's offers one-way, point to point rentals. It's a such a unique, yet brilliantly simple system. There are a fleet of cars all over a city. When you need one, use the app to locate ones nearest to you, drive it to where you want to go, then just park it and leave it! I recently tried it out in Portland, Oregon and loved it. It's so incredibly easy. Sign up, pass the driver check, and download the app onto your smartphone. Then, use the app to find a nearby car in real-time and you can even check it's current fuel level. You can reserve a specific car, which makes it invisible to other members until you get to it, for up to 30 minutes. 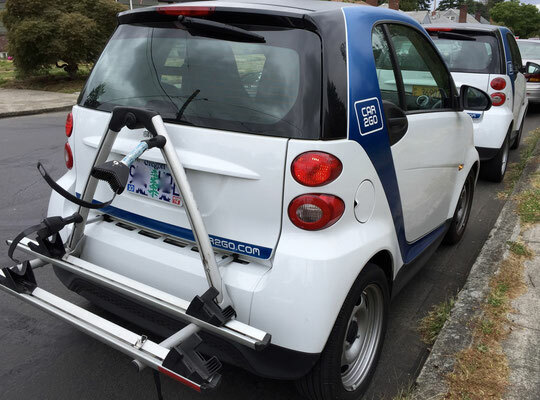 And, in Portland, city of cyclists, you can get cars with bike racks! When you approach the car you want, use the app to literally push one button to start the rental. The car will then automagically unlock itself for you! 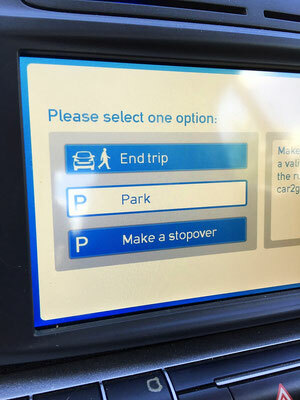 When you get in, it welcomes you by voice (which is so badass and Nightrider-like), then you enter in your unique pin code on the touchscreen display to ensure that you're you, take the key, put it in the ignition, and you're on your way! 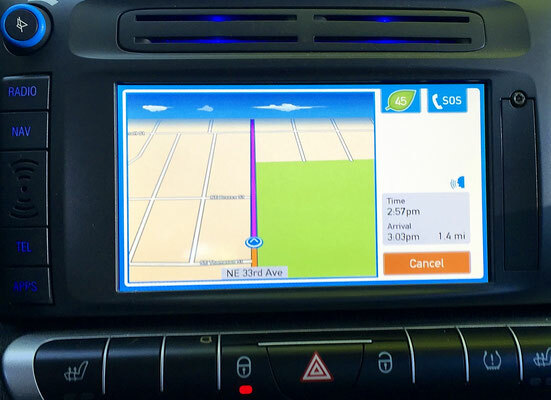 The cars offer gps navigation with turn by turn voice instructions. Program in the address you're going to when you first get into the car, and then the car will tell you exactly how to get there. Can't get much easier than that. The cars also come with local synchronized, pre-programmed radio stations, which I loved. Why is this cool? Because the stations in all the cars are all set to the same channels. So you're not wasting any time fooling around with the radio in the next car you pick up. You already know that you like channel 5. So, again, you literally only have to press one button. And, bonus, every car defaults to the last station you had on in your previous trip! Smart cars are a such breeze to drive. And they're FUN. They have super fast pickup with only 3 cylinder engines, and they're so light at only 1500 pounds, that it often seems like they just glide along the road (and also get amazing gas mileage). 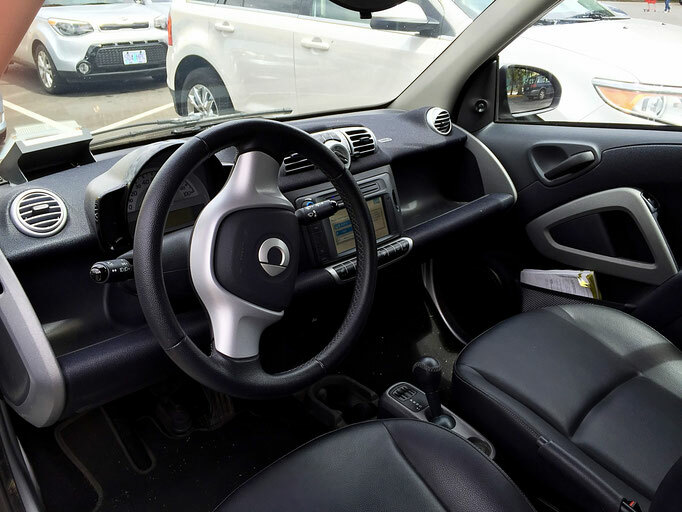 They are super roomy, easy to maneuver, even easier to park, and everything inside the car is literally within an arm's reach. The trunk is huge, can fit a ton, and since half the cars come with bike racks (in PDX), you can even take your bicycle along. But don't let the small weight and size fool you. Smart cars are incredibly safe. See that blue stripe on the outside? That's actually covering the outline of the steel cube that surrounds the car, called the Tridion steel safety shell. I've seen pickup trucks stacked and balanced on top of these steel cubes. And they can withstand 70 mph crash tests. How can they be so great? Because they are made by Mercedes and designed by the artists of Swatch watch, hence the acronym SMART. S: Swatch + M: Mercedes + ART: it's a work of art! Another cool aspect is the cars have an eco driving indicator, which shows up as a little leaf icon, and if you get too fast or crazy with your driving style, it will alert you to get back in check (and not burn fuel unnecessarily). 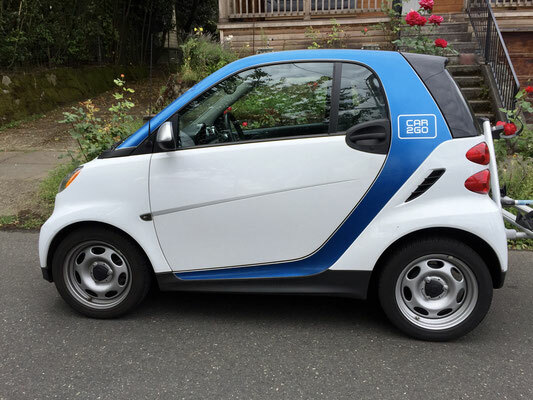 Speaking of fuel, car2go's come in both gasoline and electric models. If you're using a a gas model, and you're low and want to top off the gas, car2go will re-imburse you for the cost. But, I've never had a need to do this even once, because of their awesome fleet team that goes around topping up the cars' tanks and making sure they're in good overall driving condition, and thus ensuring their reliability. When you arrive at your destination, park in a public parking spot (according to your local rules), and then you can either do a stopover and keep the key (and the car) while you run an errand, or you park and end your trip, put the key back in the slot and then you have 15 seconds to get your things and go. The car will automatically lock itself and then become available for the next person. You can keep track of your trips on the app or online and tally your usage right down to the minute. You only pay for the exact time you use the car. So you can pay by minute, hour or day, and that's all you're gonna pay. All parking costs are covered in the rental. Being able to park anywhere you want saves you from wasting time looking for designated parking spots or returning the car to a specific location, (or even talking to another person at all). Park it on the street. Park it downtown. Park it in front of your house. In Portland, park it at the airport! Skip the bus, the train, the taxi. Drive yourself, by yourself, and leave whenever you please! 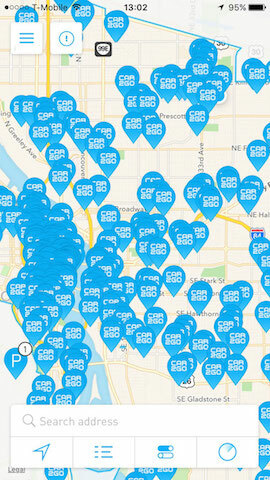 With the Car2go membership, you can use the cars in any cities they're in. Use it when you travel. Use it at home. Use it as a second car. Use it as your only car! 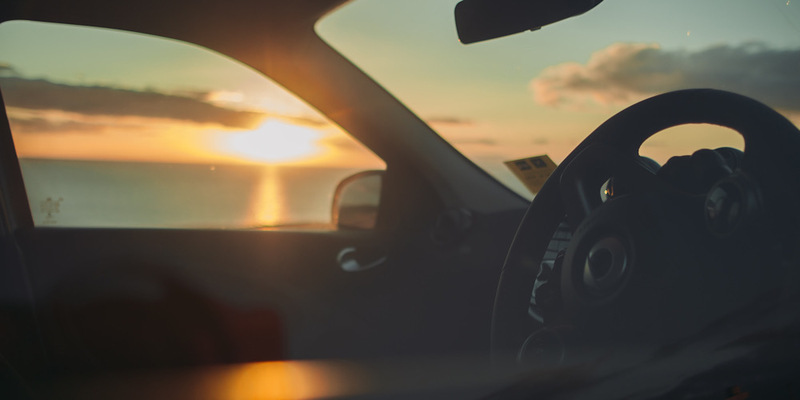 Skip the costs and responsibilities of owning a car and just rent one whenever you want to! Stay light! Check out more at car2go. They're in the US, Austria, Canada, China, Germany, Italy, the Netherlands, Spain and Sweden.